It’s no secret that Cam is one of country’s most exciting newest singers with her song “Burning House” sending recent ripples through the industry. 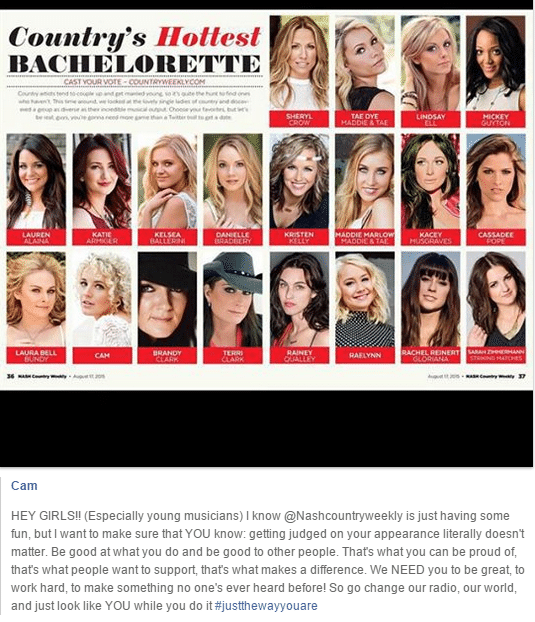 Welp, Cam just got even cooler with this post on her Facebook page, reminding fans that substance is more important than looks. “Be good at what you do and be good to other people,” the singer writes in the inspirational post, reminding females that looks are not the most important thing.